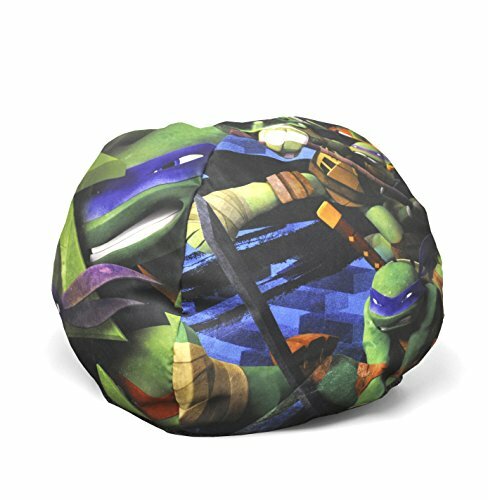 Nickelodeon Teenage Mutant Ninja Turtles Nylon Toddler Bean Bag, 60"
Brighten your child's room with the Nickelodeon Teenage Mutant Ninja Turtles Toddler Nylon Bean Bag. It is a perfect addition for any TMNT fan. It can be used as alternative seating for small children, or as room decor for older children. It is lightweight, making it easy to carry from room to room. The nylon fabrication is soft and spot clean only. The bean bag is filled in the USA with polystyrene beads. Dimensions: 18" W x 18" H x 18" L.